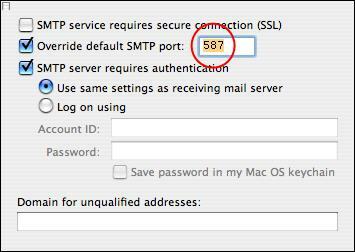 The following instructions will guide you through changing the Outgoing "SMTP Server" port setting of your Account profile in MS Entourage for MAC OS X. 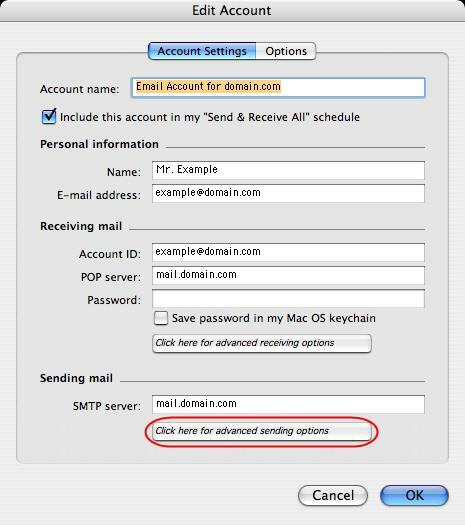 This procedure applies to Entourage 2004 and Entourage 2008 using either POP3 or IMAP4 to access your email accounts on Bloomland's Email Services platform. In Entourage for Mac, on the Tools menu, click Accounts. In the Accounts window, select your existing Bloomland hosted Email Account, then click Edit to change the account's settings. 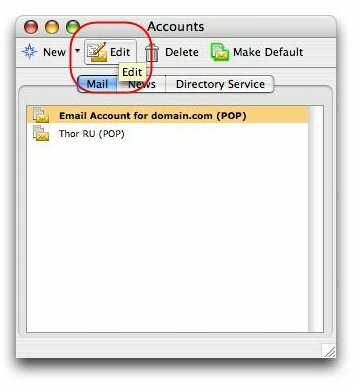 In the Edit Account window, make sure the settings under Receiving Mail and Sending Mail remain the same as before (since you're editing an existing account profile). If you don't know what these settings should have been or would like to know what the proper settings should be, click here. After you've verified the correct Account and Server settings, click Click here for advanced receiving options to make sure that your account's advanced receiving options are set correctly! Close this Advanced Receiving Options window when done. Back to the Edit Account window, click Click here for advanced sendng options to make sure that your account's advanced sending options are set correctly to use port 587! 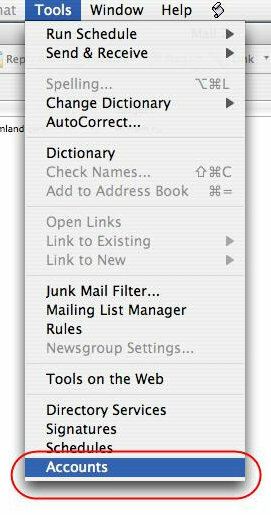 Close this Advanced Sending Options window when you're done. Back to the Edit Account window, click OK to save all the changes you've made.